Meg Duffy is collecting ecologists’ origin stories, and who doesn’t like to write about themselves? So here is my story of How I Became an Ecologist. My story begins on the high plains of the Great Karoo in South Africa. I’d never been anywhere like it. The land is flat and dry and ruddy, dotted by unfamiliar shrubs and grasses. Off on the horizons, pastel mountains and koppies interrupt the progression from earth to sky. For someone from the forested Northeast US, the openness is a little bit invigorating, a little bit frightening. During the day, I spot a tortoise. At night, I gaze up at an unfamiliar sky and see the Southern Cross for the first time. I’m here visiting my college friend Corinna. She’s doing a Fulbright year, studying these semi-desert plants of the Karoo and the effect of drought-stress and cattle grazing on them. I barely follow the aims of her science and wonder why what seems like scientific minutiae have any importance, but I am fascinated by the landscape. While she works, I pepper her with natural history questions she can’t possibly know the answers to, because nobody does. But I don’t know that yet. She suggests that maybe I should become an ecologist. Except, my story doesn’t really begin there. It begins across the ocean, at a community college in Maryland, where I’m attending an evening introductory biology class. I hold a bachelor’s degree in computer science, and a good-paying job in that field. But I’m unsatisfied with my day job and so have been filling my evenings and weekends with more meaningful activities. This fall, I’m going back to school to learn what I might have learned in high school, had things played out differently. My fellow students mostly have complex lives. Many are working during the day and attending college at night to earn their first degree. My lab partner works two jobs and has kids. He barely makes it through each class awake. We are reading a chapter on cell organelles, and the chapter explains that no one really know what some of the organelles do. I assume the content is a bit out-of-date and corner the teacher after class, only to have it confirmed. I’m incredulous. I’m infuriated. I’m intrigued. How is it possible that we don’t understand these bits of our own cells – this material that is in the first few chapters of an introductory biology course? Except, that’s not the beginning either. Perhaps the beginning is when I am a child living at the edge of a small woods that I am free to explore. I learn the paths intimately, climb the trees, make pretend. I find ladies slippers and Indian pipes. I know how to walk quietly through the woods, how to spy on the occasional dog-walker or other interloper without being seen or heard. These are my woods, and I retreat to them when I am upset or sad or lonely. But I long to know more. I want to know the names of the trees, which plants are edible, the identities of the birds that I hear. But it’s the pre-Internet era, and I don’t have access to this information. My parents are both in the computer field. They don’t walk in my woods. But maybe my story actually begins when I decide to be a computer scientist. I’d always wanted to be a scientist, I was a whiz at math, and I’d taught myself to program. Now I am holding a four-year scholarship that I can take to any college, as long as I major in computer science. The scholarship is a diversity program run by the federal government and stipulates that I work for the government for about four years upon graduation. The program has not yet been ruled unconstitutional. The scholarship means that I can go to the college of my choice, but also importantly, that there will be enough money left in the family coffers for my younger brother to go the school of his choice, too. I can’t say no, and I don’t want to. A full ride with a guaranteed job is an amazing deal. The other beginning takes place in a three-bedroom roach-infested apartment that I share with Mike and Tim on the outskirts of Washington D.C. We live steps from the National Oceanic Atmospheric Administration (NOAA) on the border of gentrified Northwest and the not-yet-subsumed melting pot of Northeast. NOAA means nothing to me. Being childless, listless, and bored, I’m perusing the bookshelves where Mike and Tim stash their leisure reading. Tim works for an anti-hunger non-profit. Mike works for the National Academies. Both are intensely interested in land-use policy and social and environmental justice. I have grown up without any real civic education, either at home or at school. Mike and Tim take me to protests. They introduce me to civics, to international policy, to power structures, and I gobble it all up. I pick up A Sand County Almanac and Guns, Germs and Steel. I read Edward Abbey, John McPhee, Bill McKibben, Vandana Shiva. Tim and his girlfriend Erin subscribe to Bull Run Farm, which sells its vegetables through the Community Supported Agriculture (CSA) model, and they give me their leftover produce. The food is local, pesticide-free, and delicious. But all that only really matters because I met Ilana and she asked me to cook with her. I’d met Ilana in Brown’s introductory computer science course, but it’s the only computer class she’ll ever take. Ilana is thoughtful and extrospective, a true intellectual. She will take a semester off to read books because school is interfering with her ability to learn. I love talking with her. Her food co-op needs more members and she encourages me to sign up, though I’ve never really cooked before and certainly not for 16 to 20 people. But two people cook each meal and I’m carefully paired each time with a more experienced member. We cook vegetarian kosher food with the Moosewood Cookbook as our sacred text, and I am introduced to both eating and preparing a diverse array of food. I shed my childhood pickiness and learn to appreciate real food for the first time. Of course, everyone’s story really begins with their parents. My mother and father each had unusual upbringings, though I didn’t understand that until much later. Endlessly curious, as all children are, my mother learned to stop asking questions early on, for fear of her father abandoning her, too. My father, also endlessly curious, had to find his own answers, as the oldest of four children in a foreign country with an absentee father and a mother who had to learn the customs and language of the family’s new country. Both my parents have a fierce devotion to education. When I started primary school and they found the local school to be inadequate for me, they sold their beloved old house and moved the family to a much smaller home in a nearby wealthy town with an excellent public school system. Both the old house and the new house have woods out back. When I was born, my mother made a promise to herself to try answer all of my questions, to never snap back “because I said so,” to never ignore my curiosity out of hand. As a parent now, I understand how hard it is to keep that sort of promise, but she did. In the era before the Internet, my mother didn’t always have all the answers. One winter, I worried about the Eastern painted turtles that wandered up into our yard from the neighboring wetland during the summers. I had just learned about warm-blooded and cold-blooded. Were the turtles all dead? They couldn’t be. But how could they survive New England winters? My mother didn’t know, so she took me to the library. We searched the kids’ books; useless. We searched the adult books, but found no answers. We asked the librarians, and learned nothing. We even wrote in to the science Q&A column of the newspaper. The question was never published. A couple years later my mom stumbled upon the answer and told it to me excitedly. She hadn’t forgotten my question; she honored my curiosity. I would find, as I grew up, that my fearlessness in asking questions would occasionally annoy people. But much more often, it would open doors. In the beginning, as a kid, my favorite TV programs are PBS nature specials. I watch every single one I can, engrossed by animals I’ve never seen, landscapes I could never have imagined. I envy the naturalists and scientists who are profiled in these programs their adventures. But I know, as any child does who is encouraged to be reasonable, that TV personalities have unobtainable jobs. Just like the professional basketball player and the movie actress, the stars of nature specials are in a special class of not-quite-real people who somehow get to be celebrities on TV. I don’t see ‘naturalist’ or ‘ecologist’ as real jobs; I’ve never even heard of either. It might be that my story begins in a windowless inner office of the National Security Agency. It is not long after airplanes fly into two New York office buildings, the Pentagon, and a field in Pennsylvania. It is quite a while before Edward Snowden. I like my job. I hate my job. I am doing research, which I am good at and is fun. I enjoy excelling at my job. I loathe what my efforts might be used for. I am forced to think about ethics, individual responsibility, meaning, personal fulfillment. I quit my job the day my scholarship contract is up. It might also be that my story begins on one of the many days I sigh and walk into the Sunlab, the huge room full of Unix workstations that acts as the community center of the Brown computer science department. On this particular day, I walk in and see the phrase “Gentlemen, welcome to the Sunlab” scrawled across the announcement white board. I point out to the Sunlab Coordinator, a student whose job it is to oversee the lab, that the message is sexist. He gets defensive. “No, it’s not. It’s from a movie, don’t you know? It’s just a joke. Geez.” Fight Club has just come out, but I haven’t seen it, will never see it. Resigned, I find a computer and sit down to work. It’s just not worth the fight. I am smugly satisfied to see that the message has been erased when I finish my assignment and leave. But long term, I don’t really want to spend all my time fighting the boys’ club that is computer science. I wish I could change my major. From the start, I knew biology wasn’t for me. In seventh grade, I had my first biology class. We memorized things now long forgotten and dissected worms and frogs. The stench of formaldehyde would stay with me forever. In high school, it was clear what the hierarchy of sciences was. The lowest levels were earth science and biology. Next was chemistry. And highest was physics. I was smart and ambitious. I chose earth science over biology, then took chemistry, physics, and advanced physics. My guidance counselor protested. “If we were to require any science course, it would be biology,” he explained. I ignored him. I knew that biology was nothing but memorization, which I hated, while chemistry and physics were centered around math, which I loved. Even still, dear Mr. Flight, my earth science teacher and one of my best-ever teachers, planted the seed of environmental education. He ended each class with a Fact of the Day, such as an exposition of dead zone in the Gulf of Mexico due to nutrient run-off from Midwest agriculture. Fifteen years later, I was horrified to discover that the Grown Ups had not yet fixed this obviously terrible problem. My new beginning, the start of the rest of my life, takes place in Wisconsin, on a small family farm near the scenic river town of Osceola. I am in the Midwest because Ben, now my fiancé, has started a geology PhD at the University of Minnesota. I am on a farm because I want to do something as different from computer work as possible. This is a CSA farm, run by the husband-wife team of Paul and Chris. We plant, cultivate, pick, pack, and deliver vegetables to the 300 subscribers who have invested in the farm activities from the outset. The farm has no nutrient runoff into the nearby river. I am enamored with organic agriculture and the CSA economic model, and think I might become a farmer. Paul has a PhD in plant biology and delivers lectures to me and the two other interns as we haul boxes of produce, pull weeds from the soil. I learn about the nitrogen cycle, about legumes and their Rhizobia. I learn about powdery mildew and crop rotations. I learn about soils and decomposition. I learn about insect pests and their natural enemies. I learn to identify plant stress at a glance, about calcium deficiency and plant competition. Despite – or perhaps because of – his PhD, Paul decries the ivory tower. He left it for a reason. University researchers, even extension researchers, are out of touch with what happens in the real world, out of touch with the needs and constraints of actual farmers, actual land managers. And despite his vast knowledge of plants biology, I drive him crazy with my incessant questions. I question his practices, his routines. He tells me that this is a business. You have to pick a method and do it, or you won’t have any vegetables to sell. There is not much time for experimentation on a small family farm. I spend the summer placing tiny seeds into divided trays, watering, picking and pulling, hauling, sorting, building a greenhouse, learning to drive a tractor. I love working outside every day. I get up early to witness the peaceful mornings when the low light makes the eggplants and peppers and summer squash glow with vibrant colors. The palms of my hands toughen and I find a quiet reverie in weeding row after row of carrots, row after row of spinach, row after row of cilantro. The smells of basil, of tomato vine, of damp earth infuse my being and I feel for the first time in my adult life that I am really living. The work is meaningful and fulfilling. It is also hard toil, and by mid-autumn I am physically stronger than I’ve ever been, but tired. Very tired. I know this is not quite my path, but I don’t know yet what is. I spend the next year in Minneapolis, pondering, reading, volunteering, fencing, making new friends. I want a job that is meaningful, and a job that is intellectually stimulating. I want a job in which I am not stuck behind a computer all day every day and in which I can make a difference. By now, the world of academic research is less unfamiliar. Corinna is at the University of California at Davis, finishing up an ecology PhD. Ben is in the second year of his geology PhD. Tim is about to start a geography PhD at Michigan State. I find the University of Minnesota’s conservation biology program online, and peruse its pages. I email a dozen professors affiliated with the program and ask to talk with them. About half reply and agree to meet with me. I am excited by their research, attracted by their friendliness. One of them, Craig Packer, will become one of my future dissertation advisors. 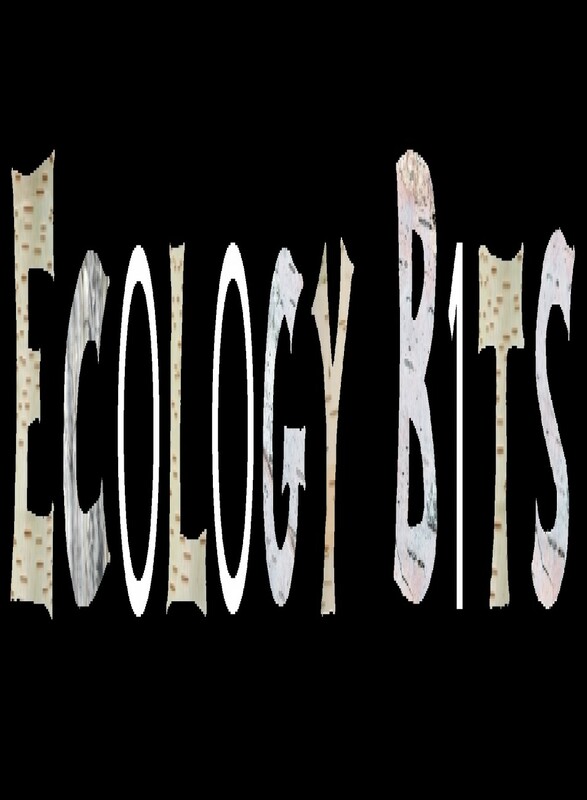 I sign up for the intro undergrad ecology course through the office of continuing education The teacher for the course has good reviews in the undergrad ratings catalog. His name is David Tilman. Partway through the course, I go to his office hours and tell him that he screwed up his lecture, mistaking the prefix mega- for giga- when talking about the carbon cycle. Our conversation ends with him hiring me part-time to work on an environmental economics project. He will become my other dissertation advisor. That fall, I apply to the ecology program, and Paul writes me a letter of recommendation. I think most people’s lives are not straight lines, one thing leading to another, but rather a skein of threads, each twisting and turning, becoming entangled with others, stopping, starting again. We crave a linear story, a simple one. And I could fit my story into a straight narrative if necessary. But the truer story is messy. I have become an ecologist. I work as an ecologist now. Who knows what the future holds. Beautifully written! My own story includes many of these elements, childhood in the woods + CSA farming and some great mentors. No computer science though, instead I was on the path to health care.